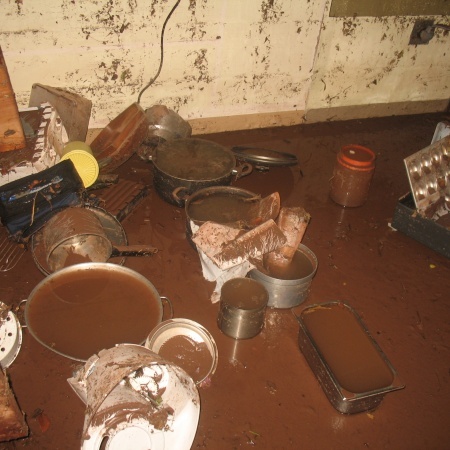 As you may have heard, the girls’ orphanage was devastated last Friday morning by a terrible flood and landslide. At 10 p.m. last Thursday night, heavy rain and thunderstorms began in Tegucigalpa, Honduras leading to this flooding and landslides. Around 2 a.m. the wall and gate at the Girls Orphanage gave way, causing the lower level of the house to flood with six feet of water. Thankfully all of the girls are okay, but unfortunately, everything in the lower level of the house is ruined. After inventory, this unexpected tragedy left the orphanage with about $15,000 worth of uncovered expenses. They lost their entire kitchen — cabinets, hundreds of dollars’ worth of food, their stove, refrigerator, all plates, cups, and silverware. On top of this, all the furniture was ruined along with many other personal items. Fortunately, homeowner we rent from is already investigating any structural damages needing repair, and they will fix any issues with the building, but unfortunately all of the other losses are the responsibility of the ministry and will not be covered. We are truly grateful for all of your prayers. If you would like to donate financially to the Flood Relief Fund for the Girl’s Orphanage, you can GIVE ONLINE NOW. We will keep you up to date as we recover from this terrible calamity. Stay tuned to Facebook and Twitter for more updates on the flood.